One of my favourite places in London is Shoreditch. It’s a district in the East End of London, and is known for its vibrant, colourful street art, quirky bars, tasty,cheap food and Brick lane market. 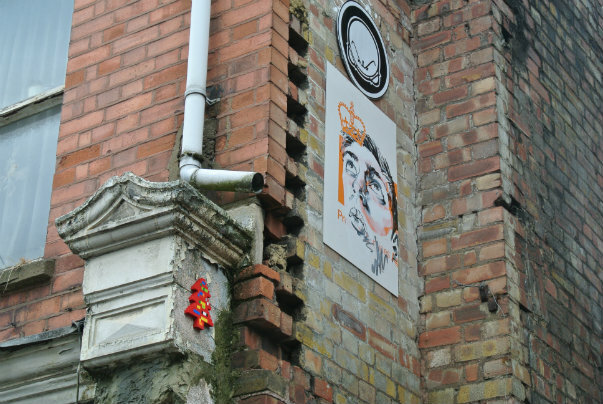 When walking around the area you will notice beautiful street art by local artists such as Bansky (the only one I know) as well as world’s leading artists from around the world. 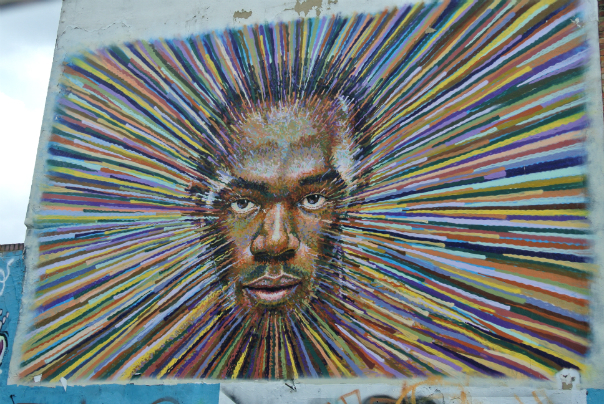 I have been to Shoreditch a couple of times and have seen new street art every time I went. It’s constantly changing which gives the area a very energetic, dynamic and cool scene. 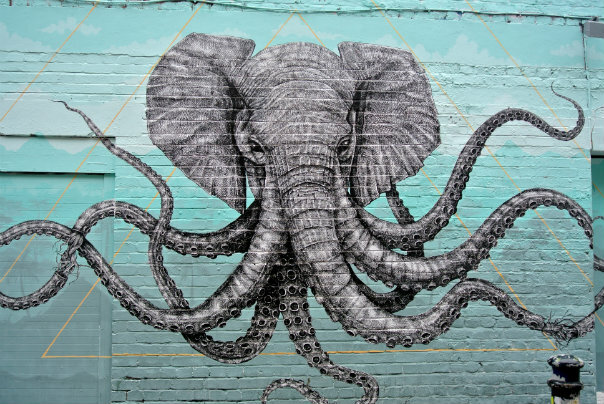 I wanted to learn more about street art, so I booked a walking tour with a street art tour company called the Alternative London tour. The tour is based on a pay-what-you-like basis and is around 2 hours long. We met our tour guide Keir at Spitalfields market near Liverpool Street station. He kicked of the tour by explaining us all about the evolution of the area as well as the context of the art and the artists. Keir seemed to be be very enthustastic about street art and he knew a lot about the area (even though he isn’t a ‘Londoner’). He told us quirky and funny facts, and explained why each artist were making these statements. He showed us artworks that I have never noticed before and it was interesting to hear the background about each artwork. 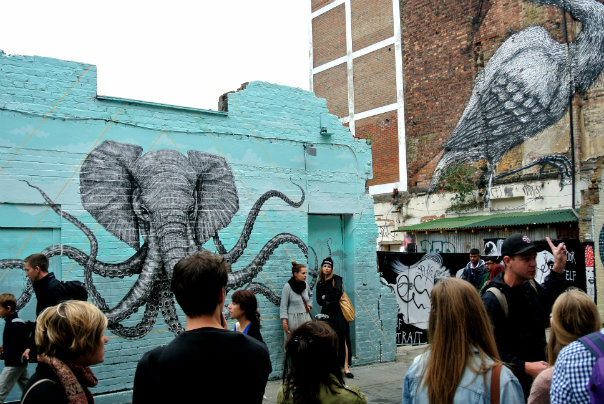 Overall, the tour was very interesting and funny, and I got to know so much more about street art and the East End. I wish I could remember everything he said, but I guess this could be a reason to do the tour again. 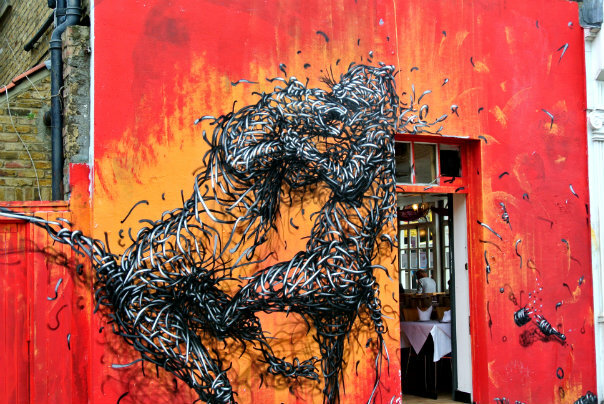 What is your expierence with street art? 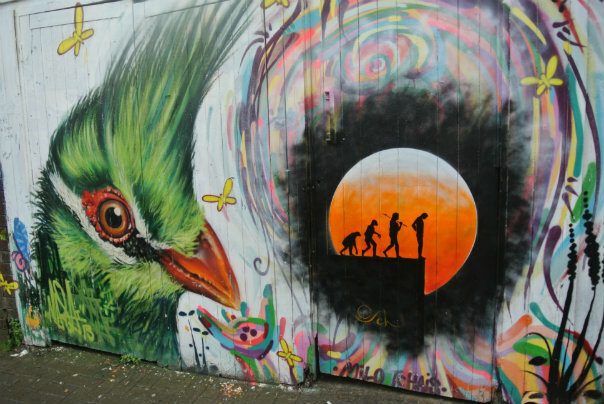 Do you like Shoreditch and its quirky style? What is your favourite area in London? Thanks Aubrey! 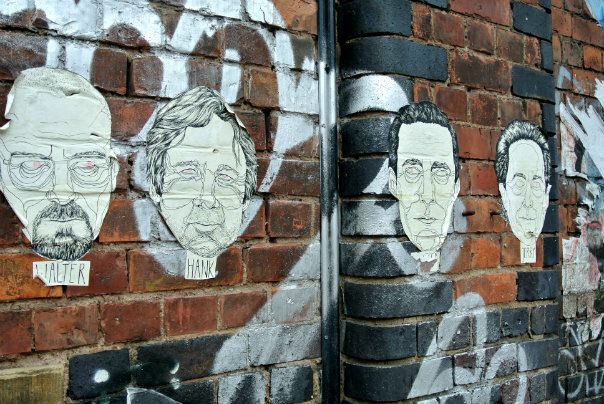 Shoreditch is a great place for street art. The artwork always changes, so I always enjoy going there and the street market food is also very good in the area 🙂 It’s definitely worth a visit next time you’re around!